African violets are a beautiful flower to add to any room in your home. A lot of people like them above the sink, in a window where they can get a little light. They are remindful of spring and summer, even when it is cold and dreary outside in the middle of winter. 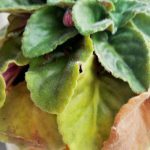 Propagating African violet plants is also very easy. There are several ways to accomplish African violet propagation: growing from seed, rooting African violets, and through division. “Can I grow African violets from seed?” is a common question, and with good reason. Most of the time rooting African violets is done from leaf cuttings. But they can, in fact, be grown from seed too. Peat can be used to germinate the seeds, but perlite, vermiculite, greensand and Epsom salt should be used to make the soil lighter. The seeds germinate in about eight to 14 days. Temperature for the soil should be between 65 and 75 F. (18-24 C). A lot of people propagate their plants with leaf cuttings. This method of African violet propagation is usually done in the springtime. Simply remove a healthy leaf with the petiole or leaf stem by cutting or snapping it off neatly at the stem of the plant. 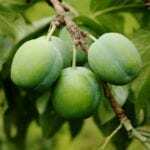 The petiole should be trimmed to about 1 ½ inches for best results. Take the leaf and insert the stem into a hole in the growing medium, then water it thoroughly. Propagating African violets isn’t as hard as one might think. Roots should appear at the base of the petiole within three to four weeks. When the roots appear, new leaves should start peeking through the soil within three to four weeks. One thing to remember when propagating African violets is that it doesn’t take long before you have a new plant to repot. Two to six months after the process starts, the new plants should have two to three leaves. At that point, the African violets are safe to repot. African violet propagation can be done by division, which involves cutting the crown from the plant so that each portion has a piece of the root system. Each division can be planted into pots with violet potting mix and they should do well. Now that you know the various ways to propagate an African violet plant, you can create as many new African violets as you want.